You have me peering at the screen! 🙂 🙂 Happy Saturday, Su! Thanks Jo. Hope you’re having a good weekend. Thanks Pauline. It took a bit of fiddling with the lens. That is one lovely, heartening shot (and quote). That is a very small thing and so critical to growth. Very beautiful,too. A reminder of how dependent structures are upon all the smallest things working together. Something human agencies would do well to heed. Seeing beauty in the smallest thing is also my guiding principle. Great shot, Su! Thank you Peter. It is a good principle — calming and uplifting in our troubled world. Your macros are so lovely Su. Another great quote too 🙂 Hope you are having a lovely weekend. Any luck on the house search? Thanks Jude. We had a really busy weekend in the garden. Most of the heavy pruning is done (and T has reluctantly put away the chainsaw 😂). Now we’re planting and tidying. The house hunt has stalled as we try to get this place ready to sell. Of course, now that we’re serious, prices have “softened.” And the boy lurches from crisis to crisis so I do sometimes wonder if we’ll ever actually leave here. Every time we decide to move house prices stall! As for your youngster, sometimes you just have to give them space and let them make their own mistakes; as long as they know you are there when they need you. We’ve been lucky with house prices in the past, but I think we’ve missed the boom boat this time. As for the boy, yes, he knows we are always there for him. Sadly, at the moment I’m feeling a bit taken for granted in that respect. But he’s nursing a broken heart, and I do remember how that feels. The wonders of nature Su. 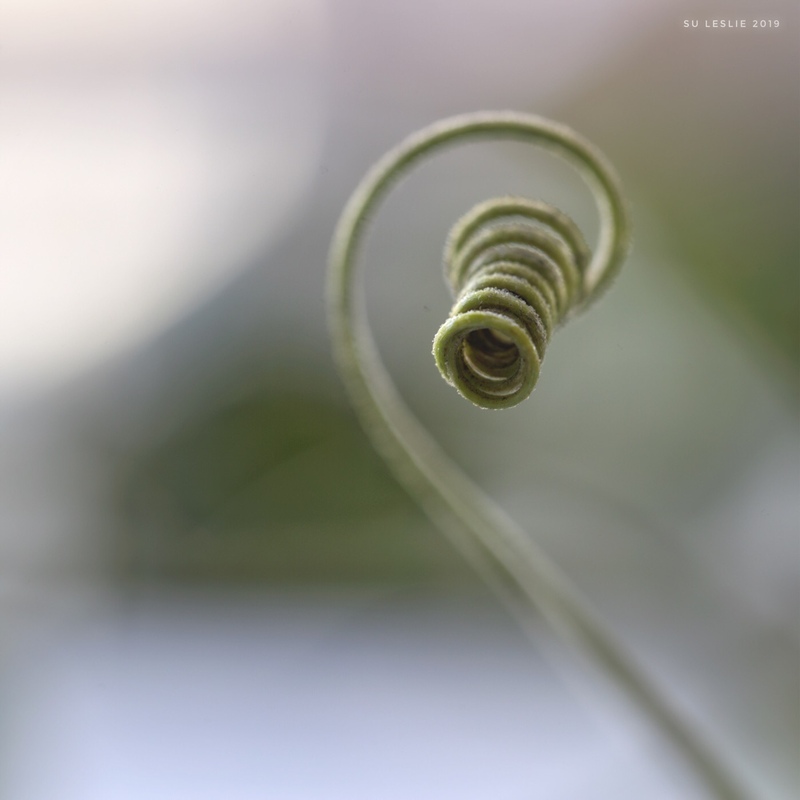 A little tendril reaching out is a life line for a plant. Quote from a baseball player, John Woden.